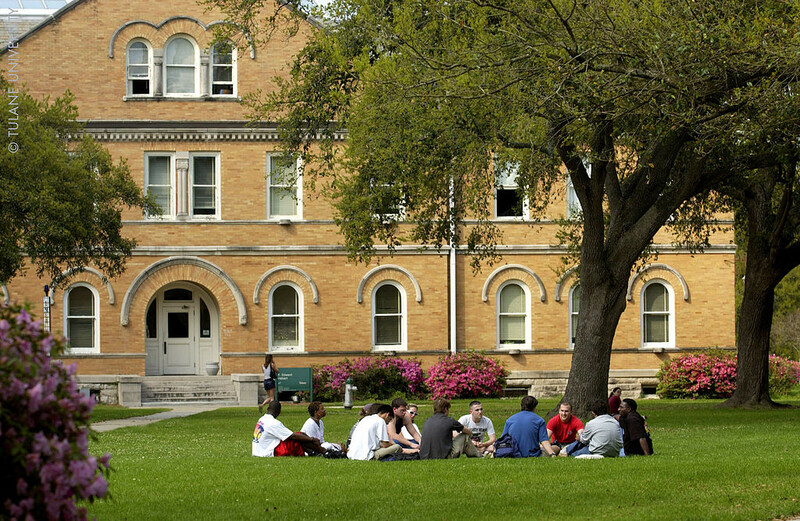 An estimated 20.2 million students attended American colleges and universities in fall 2015. This year, colleges and universities are expected to award 952,000 associate’s degrees, 1.8 million bachelor’s degrees, 802,000 master’s degrees, and 179,000 doctor’s degrees. A college education has more return on investment for a graduate in the United States than in any other nation. How will you maximize your time in college for best advantage? Your first year in college will be especially important. For many students, the first year is the most challenging because of major changes: new people in your life, new independence, new responsibilities, new subjects to study, and new disciplines to embrace. Your greatest new challenge may be balancing school, your family, and a job. Be open to learning about yourself. Be open to meeting others. Develop images of success. Define your goals. Use your time wisely. Explore career options. Find a major that fits. Build professional skills. Network. Socialize. Appreciate diversity. Relish student life. Examine your thinking. Think critically. Think creatively. Use technology. Prepare for class. Attend class. Build memory skills. Engage actively. Read abundantly. Write often. Learn test-taking skills. Interact with instructors. Learn deeply. Have high academic ethics. Be honest. Evaluate results. Eat nutritiously. Respect the body. Exercise. Sleep well. Avoid substance abuse. Avoid stress. Support mental health. Support sexual health. Be safe. Learn about finances. Explore employment. Save money. Create a budget. Use credit prudently. Explore financial aid, if needed. In working through these topics, you will have opportunities to take self-assessments and conduct other activities that help you think about and apply the concepts you are learning. Many of the topics include videos and other media materials that provide a context for the information. Topics also include a self-check quiz with simple questions to help you review the content. As you build new skills and integrate them into your daily life in college, you will be rewarded with success all the more. “Success doesn’t come to you . . . you go to it,” says Dr. Marva Collins, an American educator and civil rights activist. With these words she sets the stage for your college journey. Your success, however you define it, is ever flowing. 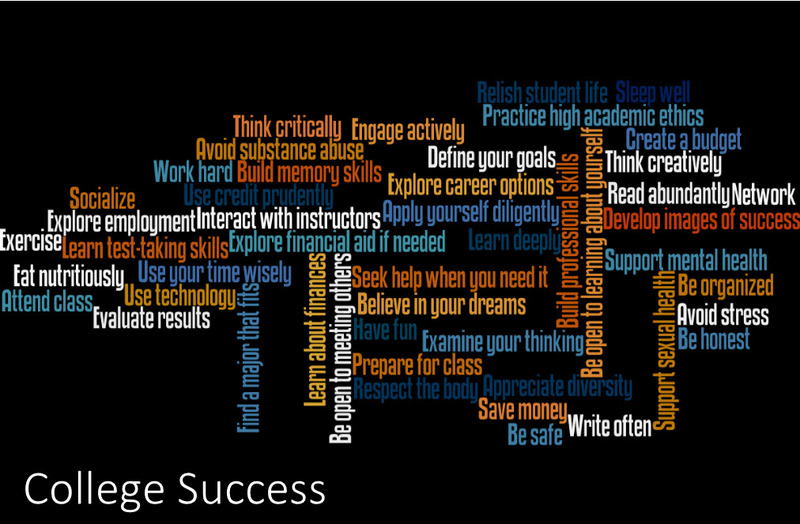 Enjoy this course on achieving success in college. Above all, stay motivated and celebrate your every accomplishment! Dismissed from drama school with a note that read, “Wasting your time. She’s too shy to put her best foot forward.” Lucille Ball. Turned down by the Decker recording company who said, “We don’t like their sound, and guitar music is on the way out.” The Beatles. A failed soldier, farmer, and real estate agent, 38 years old, he went to work for his father as a handyman. Ulysses S. Grant. Cut from the high school basketball team, he went home, locked himself in his room, and cried. Michael Jordan. A teacher told him he was too stupid to learn anything and he should go into a field where he might succeed by virtue of his pleasant personality. Thomas Edison. Fired from a newspaper because he lacked imagination and had no original ideas. Walt Disney. His fiancé died, he failed in business twice, he had a nervous breakdown, and he was defeated in eight elections. Abraham Lincoln. If you’ve never failed, you’ve never lived. Life equals risk.